Physicists of the Caribbean: Is It A Bird ? Is It A Plane ? NO, It's A Cloud ! Is It A Bird ? Is It A Plane ? NO, It's A Cloud ! Some of this content has been taken from a previous blog post written as a transcript for a lecture course. This post will be shorter, more focused, and more bloggy, a.k.a. with more lolcats and shizzle. Oh Galaxies Where Art Thou ? One thing I go on about quite a lot in these science posts is the fact that observations keep failing to detect all the galaxies we think should be there. 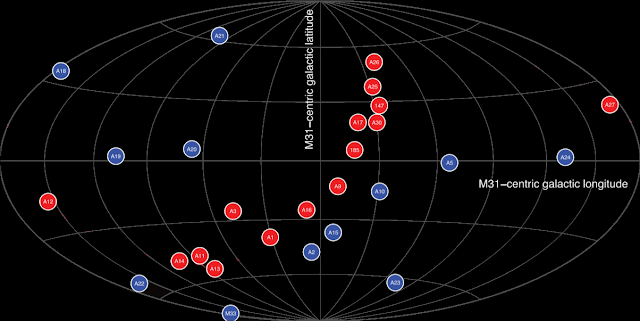 Simulations say we should find hundreds of dwarf galaxies orbiting the Milky Way, but all our pathetic telescopes have been able to find is about 50. Are we just slacking ? Are astronomers not looking hard enough ? Or did someone's cat walk over the keyboard and add an extra zero ? Probably not. The problem is just too damn persistent to explain so easily. But as usual, it's crucial to be aware that the basic models do have limits. Since observations indicate that the Universe is dominated by dark matter, and as the physics of gas and star formation is jolly tricky, for the most part models only use dark matter. Clever recipes are used to work out how the dark matter clumps in the simulations (known as halos) should relate to real galaxies. This "semi-analytic" approach has obvious problems, which everyone accepts. It's not too difficult to imagine that maybe all the missing physics could somehow prevent some of these dark matter halos from becoming genuine galaxies - maybe they just accumulate a little bit of gas, stars formation goes fzzzzt for a little while and then fizzles out in an embarrassing fashion. So the model could be basically right : most of the halos could exist, just not have enough gas and stars to be detectable. We'll get back to that later on. But there's another problem with the models I haven't yet talked about much. The models also say that the small satellite galaxies should be found in a roughly spherical cloud around their hosts, buzzing around like a swarm of angry bees except they're about 10,000,000,000,000,000,000,000,000,000,000,000,000,000 (100 duodecillion) times more massive, less furry and don't make an irritating buzzing sound but apart from that they're damn near identical. The problem is that the satellite galaxies aren't cooperating. Instead of being found in random clouds, they seem to be found in quite narrow planes. Here's a comparison of a simulation with the real distribution of satellites around our own Milky Way. 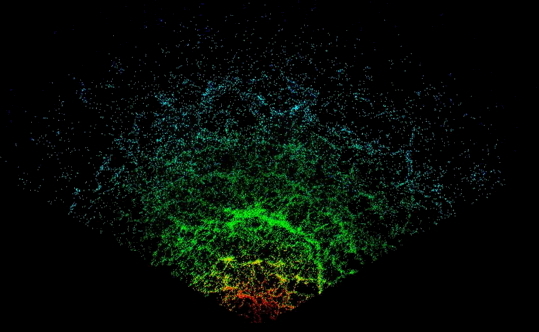 Left : the Via Lactea simulation, where the orange particles are dark matter. The biggest clump is about as massive as the real Milky Way. 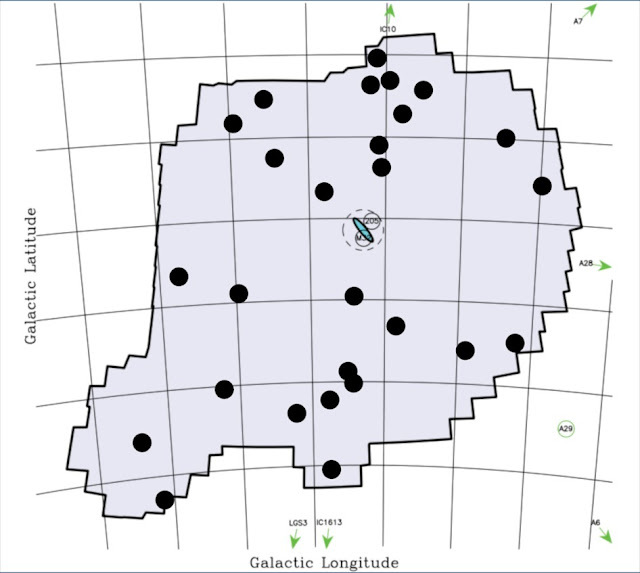 Right : the arrangement of the actual satellites of the Milky Way (grey circles) around their host. Oh dear. That looks quite odd. Indeed it is. It's much less obvious how the missing physics of the gas and stars could somehow mean we're only detecting the galaxies which are in a plane. And what's particularly strange is that the plane seems to be at close to right-angles to the disc of the Milky Way. If the two were aligned, we might speculate that maybe the gas all collapsed into the same plane as the spinning galaxy during its formation, or something. In fact some simulations have predicted just that, and rather satisfyingly they don't have a missing satellite problem at all. Unfortunately the feckin' galaxies aren't doing that : they're in exactly the wrong place. But straightaway we need to sound a note of caution. Galaxies as small as the littlest satellites are damn hard to detect, and even more difficult to get accurate distance measurements for. And distances are crucial, because without those, the distribution of satellites on the sky doesn't really look like a plane very much - as we'll see later. Tremendous advances have been made in recent years allowing us to detect really faint, boring looking galaxies in huge numbers, leading to something of a revolution in the field of faint, boring galaxies. But mere detections aren't enough : distances remain frustratingly difficult to get, and likely will for many years yet. Really, we're limited to studying galaxies of this sheer patheticness only within the very nearby Universe - a few million light years or so. Go to distances of ten or twenty million light years or more and the situation is already hopeless. So there's two things we need to do : first, establish how common these planes are as best we can, and second, see if there are any formation mechanisms that could explain them in the standard models. If planes are so common that we can't explain them, we might have to do some serious rethinking chuck out the basic model and start again. So, how many other galaxies have planes ? It depends entirely on who you believe. 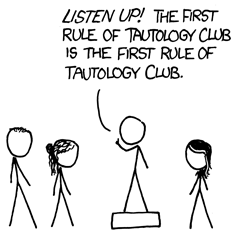 A few people say everywhere and they're impossible to explain in the standard model. Most people say there's a few but they can be explained in the standard model after all, so they're only moderately interesting. And on the other end of the spectrum, myself included, a few others say that planes are very rare indeed, so there's nothing that desperately needs investigation. You're bound to get a few oddballs in a sample of billions, after all. In our own immediate Local Group there are three major galaxies : the Milky Way, Andromeda, and Triangulum. All of these are spiral galaxies. The Milky Way, for which we have the best data, has by the far the clearest of the planes. There's also a claim for a rather more complicated plane around Andromeda (interestingly, Triangulum has no known satellites and hence no plane). Beyond that there's a somewhat confusing claim that there's at least one plane of satellites around the nearby elliptical galaxy Centaurus A, which is about 13 million light years away - right on the very edge of where this is possible to even attempt. Which means we've got a grand total of three galaxies which have been claimed to have planes of satellites. That's not the same as the number of planes though, because some people think there might be multiple planes around some of those galaxies. There's also a claim for a detection of planes around many other galaxies through statistical analysis. It'll become clear later on why I'm not going to consider that one here, but anyway it seems like a good idea to start with the planes for which there is (supposedly) direct observational evidence. Wait ! Are you biased ? Yes, very. This is something I've been following with mild interest for some years, because there's a broad overlap with my own research on galaxies which have gas that isn't doing anything. My curiosity perked up when a friend of mine did some research on how planes might form (more on that later), in which I was not involved. 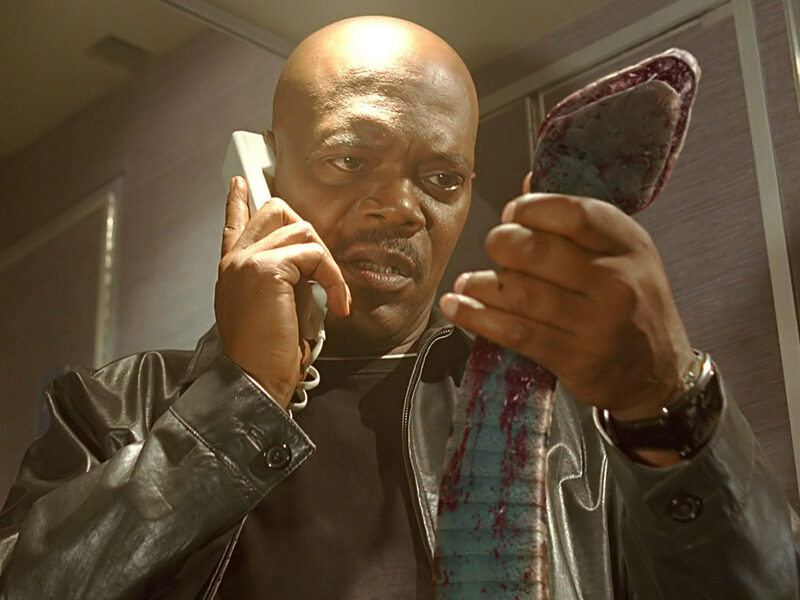 Through a quirk of fate I was privy to some private communication by one of the pro-plane team regarding that paper, and it was, well, rather brusque. Which was fine, because it was supposed to be a private email (one of the other team members chose to share it without asking the others... oops). But this wasn't the first time I'd got a bit more of an insider's view of things. Before this, I'd also had the good fortune to be given some other (far more civil) private commentary by another pro-plane member which set some statistical alarm bells ringing. It seemed to me that the strength of the claims was being made out to be far stronger than it could possibly be, given that at the time there was only a claim for planes around two galaxies. Two out of billions, and they were claiming this was fantastically unlikely. Something smelled fishy, and it wasn't the happy smell of freshly battered cod. But still I'd only heard about the claims and the arguments made. I hadn't examined them in that much detail or looked at the data myself. Two events triggered that process. The first was a lecture in Charles University by Marcel Pawlowski, one of the leading members of the field. The lecture had the exact opposite effect of its intent, convincing me (and most of the other members of the audience) that the evidence for the plane around Andromeda was in fact far weaker than I'd supposed or Pawlowski was advocating. And towards the end of the lecture, he presented a fascinating idea that there were many other planes in the Local Group besides the ones around the Milky Way and Andromeda. It would be absolutely amazing if the structure of galaxies was all about planes on these scales, but some of his "planes" looked to have just a few members galaxies. Statistical alarm bells were again ringing, or at least chiming gently in the background. Later, they'd be cranked up to the full, deafening volume of an air raid siren. What finally did it for me was that I had to give a short lecture course on galaxy evolution, which necessitated that I go back to the source papers and read them carefully. If you'll pardon the melodrama, I was shocked to discover how overblown the field really was. So yes, I am extremely biased, but not, I think, without good reason and certainly not through ignorance : I've read the arguments, the counter-arguments, and the counter-counter arguments. If I read any more I'll probably burst. Time to write. Where can I find an opposing viewpoint ? An excellent question. 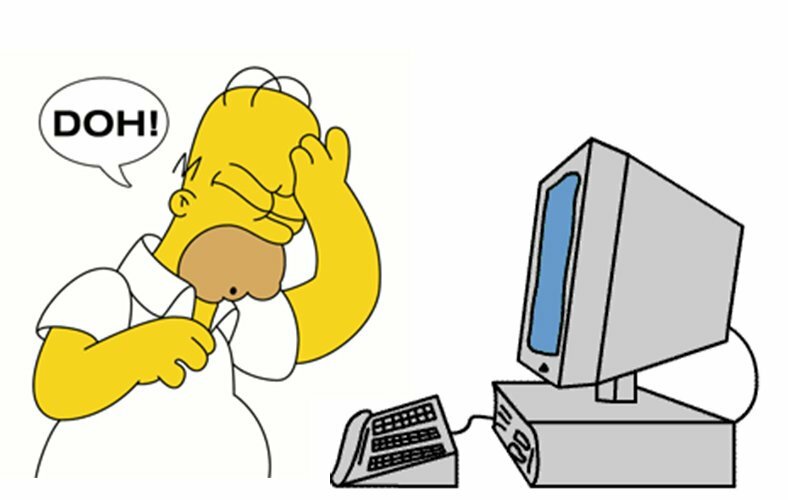 Not long ago I would have had to give you a whole list of links to various papers on the subject, which would be tedious in the extreme. 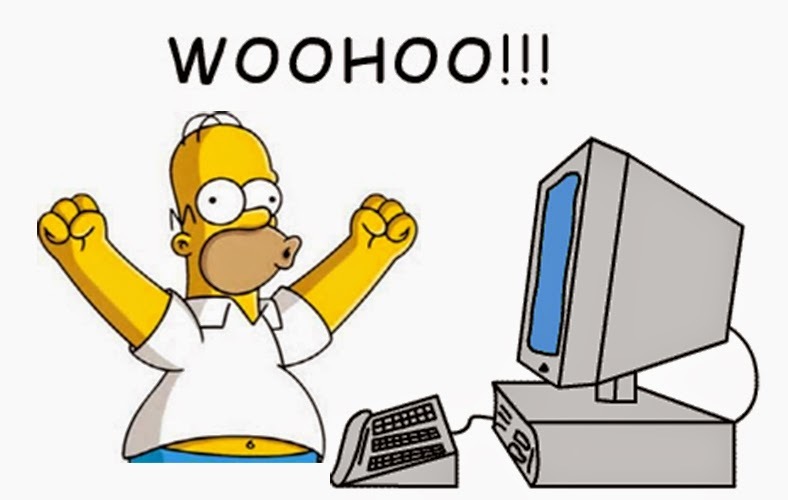 Fortunately, Pawlowski recently wrote this excellent, very comprehensive review on the subject which is (I think) pretty accessible to the interested layman (though it's got a lot less daft jokes than this blog, so naaaaah). Pawlowski knows the field perhaps better than anyone and cites just about every piece of this research ever published. Even so, I have to say that I think that virtually all the important points in the review are simply wrong. The review is written in the aloof passive voice, giving the illusion of impartiality; I prefer to take the opposite approach and be very explicit about my anti-plane conviction up front. It's up to you to decide if I'm being unfair or not. How solid are these claims ? From Metz et al. 2007. Which really shows how important those distance measurements are, especially for other galaxies. Imagine if you see another, more distant galaxy with some satellites close to it on the sky. Even if they look like they're in a nice spherical cloud, distance information could potentially reveal them to be in a plane (just as a plate looks fat and circular from one angle but thin from another). That's exactly what happens for the Milky Way satellites, nice and clearly. The term "vast polar structure" refers to the whole thing being a) quite big; b) orbiting over the "poles" of the disc rather than in the same plane; c) that it's also made of a few globular clusters and stellar streams and big smelly gas clouds. But really, the whole term is a bit odd. "Vast" can mean anything in astronomy, and their are several gas streams in our own Local Group, of comparable length, that get by just fine without any vainglorious size prefix. "Polar Satellite Plane" would be a much better term, though less exciting. Or we can just max it out and go with, "GARGANTUAN MEGA MYSTERY STELLAR SPACE THING", if you prefer. Is there any scope at all to doubt the existence of the gargantuan mega space thingy Milky Way plane ? Not much. One can always imagine playing some statistical games : take away a few galaxies (i.e. pretend they're insignificant outliers for some reason) and it might get weaker, add a few more and the same thing happens. More galaxies might, conceivably, yet be detected outside the plane, but surveys have already covered enough of the sky that this is very unlikely - and anyway we'd be left with the very brightest galaxies still all in a plane. There's a few other possibilities but we'll get back to them later. In addition, we can also measure the motions of the galaxies, and it looks like the plane is rotating. If the galaxies were moving more randomly, the plane could just be a weird chance alignment, but a rotating plane suggests - and it's only a suggestion, mind you, because the data on the satellite motion is scant - it's at least fairly stable and long-lived. So there aren't really any credible grounds to dismiss the Milky Way plane : it does exist, it's genuinely weird, and it deserves an explanation. But is it just "one of those things" or actually representative of satellites in general, a truly strange disagreement between theory and observation ? Let's see how those other planes stack up. What is it with these dramatic labels ? The Spitfire, now that was a great plane. But there's nothing much impressive at all about the Andromeda satellite plane as far as I can tell. In fact, I'm far from convinced it even exists. Which looks pretty random; you could probably draw a whole bunch of linear features through those data points if you wanted. 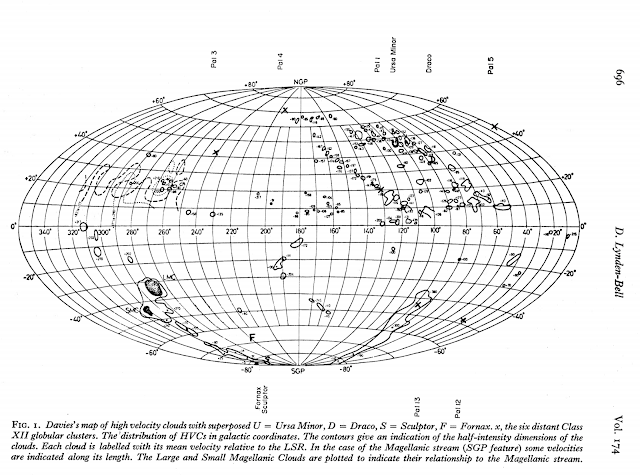 But as we saw with the Milky Way, what we need are the distance measurements, since those are absolutely crucial. Yet those are not what they use to identify the plane. Instead of looking at the structure in 3D space, they simply transform the view and look at it in another 2D view, as though the observer were looking at the sky from within the Andromeda galaxy. Which is a pretty odd thing to do, because this is just replacing one arbitrary viewpoint with another, but oh well (it's not wholly unjustifiable though, as we'll see later). Taken directly and unmodified from the paper. Then there are at least three blue objects supposedly not in the plane for no good reason. And yes, you can see something in the middle from the red objects. But you could equally decide that there was another, parallel plane on the left - and even one on the right if you were feeling generous ! If you subdivide your sample enough, you can find as many planes as you like. Or indeed, almost whatever structure takes your fancy. Admittedly, you can't really find any old structure; the cloud isn't uniform enough for that. The point is more that deciding a plane is the most important feature is a largely subjective choice, rather than being forced on you by the data itself. This resembles nothing more than the effect of small number statistics : it's easy to see patterns with a very few objects drawn from a truly random sample. In fact, Shaya & Tully 2013 take that that second plane I jokingly mentioned quite seriously, but they find no less than four planes in the Local Group, even linking this to galaxies which are many times further away. All this really serves to illustrate, which I shall demonstrate quite shortly, is that our structure-finding algorithms are absolutely hopeless with data points this sparse. The value of a press release and the probability that the reported discovery is correct is anti-correlated with the grandiosity of the claims. If you deliberately search for the thinnest structure you can find, it should come as no shock when you find a thin structure. There's not really any way that such a search can fail. Essentially, it's the modern equivalent of seeing mythological figures in the patterns of the stars. ... but be aware that this is not at all the same as its true path through space. To the north, most of the red ("plane") objects are moving more slowly with respect to Andromeda, while to the south most of them are moving more quickly towards us. This is a signature consistent with rotation (which is subtly but critically different from evidence in favour of rotation). Now, if they'd merely claimed that the thinnest structure they'd detected showed signs of rotation, I might buy that. I'd have some reservations, but I'd be interested and I'd provisionally accept it. The problem is that's not what they do. They use this apparent rotation as independent evidence for the existence of the thin plane in the first place. 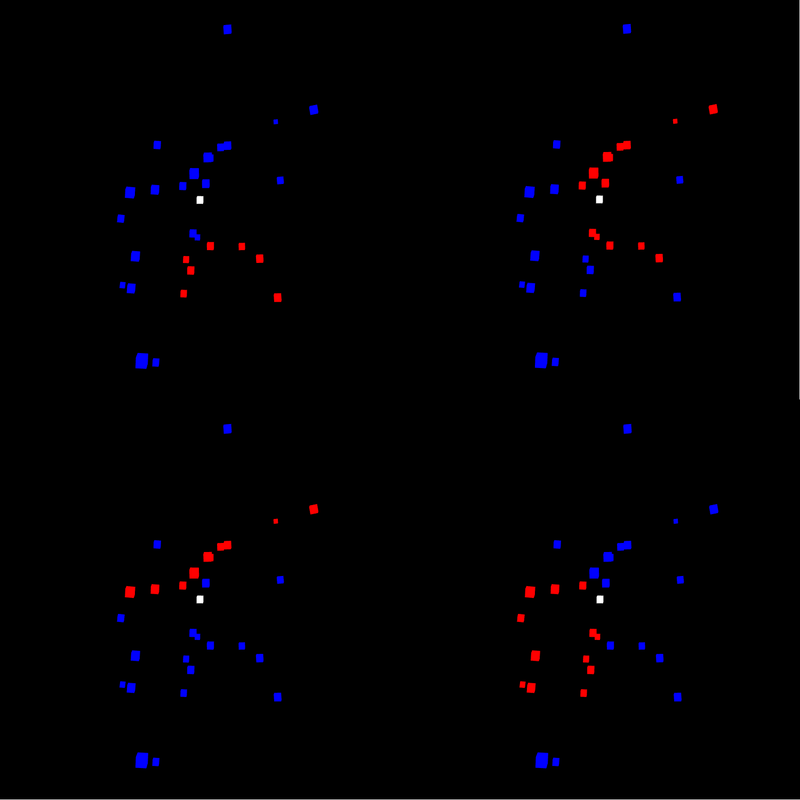 And this is not correct, because if you select objects purely by velocity, then you'd make a quite different selection to the above plot : there are some blue objects following the general trend, and some red objects going against it. It's the same situation as for the case of selecting by structure, which as we saw gave a very different result to what they chose. And if you select by a combination of both, then you can play all kinds of statistical games. It gets worse. Later responding to criticism that the claim for rotation isn't as strong as expressed, Pawlowski somewhat unwittingly notes that being consistent with rotation doesn't at all rule out being equally consistent with a huge variety of other, non-rotational motions ! Again the effect is exactly the opposite of the intent : if there's only one configuration of rotation that's viable, and many more non-rotational solutions, then it makes little sense to give the rotational option the greater share of the credit, especially given the truly flimsy structural evidence of the existence of the plane. The bottom line is that the authors have no good grounds to select the plane in the first place. Their 2D view is largely arbitrary; their chosen plane even more so. They don't use 3D space for the selection because you'd never find a plane that way. They don't use motion to select the plane because that doesn't show a plane either. What they're showing is a feature they subjectively think is real but with absolutely no justification for its existence. In short, there's just no objective way to demarcate the galaxies in and out of the plane. But you may be justifiably looking at that static red-blue plot of the plane(s) seen edge on and musing that perhaps the cloud is at least somewhat non-uniform. Such speculations are not at all unwarranted, but caution is essential. There are, after all, a mere fifteen galaxies in the "great" plane. To illustrate the importance of these very small numbers, let's examine the third and final claim of an independent plane of satellites. ... there's one big one instead. Not because I was wrong, but because no-one ever listens to me. So let's look at this new structure, just for the hell of it. As far as I can tell, this new idea is based solely on a re-analysis of other people's data, with no novel observations presented (this is all too common in this field, with some of the major names never, to my knowledge, ever having looked through a telescope or run a simulation in their lives). They find that there are 16 galaxies here with known distances and velocities, which they present as being in a single, coherent, rotating plane. 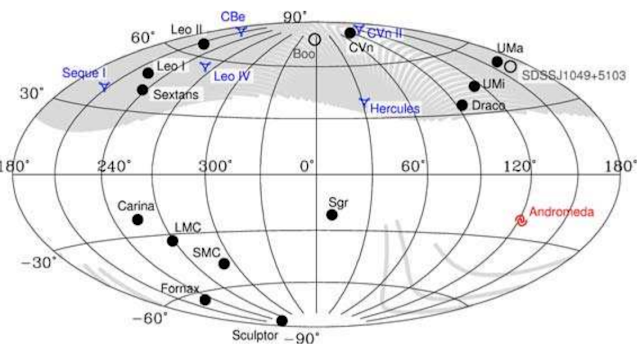 But the velocity information is unusually more lacking than the distance data, and they note there are a total of 31 galaxies with accurate distance measurements in this region. Below, the left animation shows the new purported single plane of 16 objects claimed by the authors, based on rotation, and the right animation shows as many of the galaxies with distance data as I could track down. Note that they say there are 31 confirmed satellites with accurate distance measurements; from the references they provide, I could only find the measurements for 24. Suspiciously, I can get a total of 31 if I also include other structures listed in this paper but those are not independent satellite galaxies - they include other features like stellar streams and shells. And lo and behold, just like I warned, the new claim is very different to the old. And the new one is, frankly, absolutely lousy. There's no plane there. But far more importantly, it shows extremely clearly how small number statistics can easily lead you to see whatever you want. The previous "structures" have been transformed out of all recognition. But we're super confident this time, right guys ? Guys ? 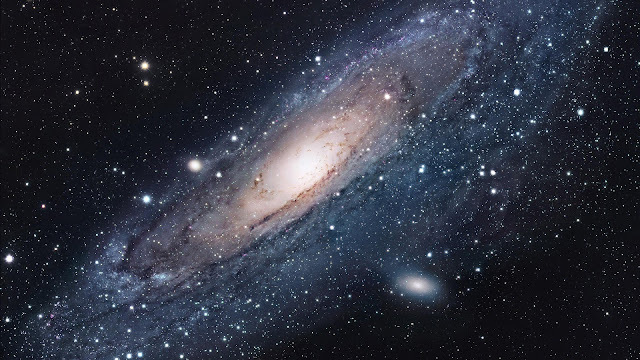 The motion of the satellites offers only a rudimentary improvement on those of Andromeda. Above a certain position, the satellites move in one direction, while below that dividing line they largely (but not wholly) move in the opposite sense. But once again the statistics are small and the motion is measured only along the line of sight, not across the sky - so once again it seems unreasonable to venture beyond the weak statement that they are consistent with rotation, not actually providing evidence in favour of such. From the latest study. Blue triangles are galaxies coming towards us, red triangles are moving away (though we don't know how fast any of them are moving across the sky). Circles are galaxies without velocity measurements. In fact the situation is even worse than for Andromeda. There at least the authors claimed, albeit wholly improperly and incorrectly, that both velocity and structure lead to the same selection. Here the two methods of selection unarguably find different structures, yet apparently the authors are indifferent. Ironically I might, at least if I was drunk, accept that the latest data actually strengthens the case for two planes, though with the same reservations of parallel planes discussed earlier. But the claim for a single rotating plane is so utterly at variance with the claim for multiple structural planes that the whole thing degenerates from tragedy into farce. I believe this system says a lot about the mentality of those looking for planes. First they state without any justification whatsoever that there are two planes present, then when new evidence comes along they cheerfully admit that "fair enough, maybe that's not true, but it's okay because look, there's still one plane after all". Had it been a nice clear plane like that of the Milky Way, this might have been justifiable. But it isn't - it merely substitutes two very unclear, unlikely planes for one very unclear and implausible plane. The real lesson here is surely the highly suspect nature of drawing conclusions from small number statistics. What sort of conclusions ? Good question. First, let's briefly recap. There definitely seems to be a plane around the Milky Way, with all its known satellites found in a single, clearly elongated structure. The Andromeda satellite plane seems, at best, highly suspicious, and if it exists at all it's embedded in a more isotropic cloud of other satellites. 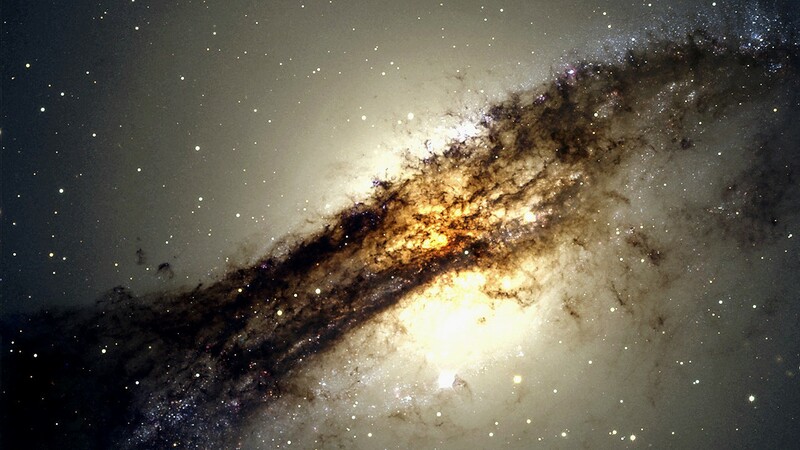 The Centaurus A galaxy simply doesn't have any planes, and claims to the contrary are based on little more than wishful thinking, providing a wise lesson in not investing too much trust in very small numbers*. * See also the fabulous datasaurus, which nicely illustrates how quantifying your data set is no substitute for just looking at the bloody thing. Yet the Milky Way notwithstanding, the conclusions made from such dismal numbers of satellites - 15 galaxies in the "plane" around Andromeda, 16 around Centaurus A - around such a truly pathetic number of three host galaxies, are stated with obsession and conviction. Those who have seen the Emperor's new planes insist they pose substantial challenges to the standard dark matter paradigm, and all too frequently extrapolate from marginal, suspicious evidence to an assuredness that planes are ubiquitous. Little has been written of the other ~800 galaxies within the Local Volume (though few of these will be massive enough to host detectable satellites) as to which ones have satellites not in planes; those with even the most marginal hint of a plane have papers with citations rapidly reaching the hundreds. That the statistical significance of the planes is extremely high, i.e., they are not statistical artifacts. That planes are found very infrequently indeed in the standard models, with galaxy fractions <~1% having comparable planes. That this low probability poses a serious challenge to the standard dark matter paradigm. They omit any discussion as to a formation mechanism of the few comparable planes which they do find in the standard models. The Andromeda plane is (sometimes) admitted to reside in a more spherical distribution of satellites, yet this fact is deemed unimportant. They insist that the presence of three planes in three galaxies indicates that they are universally common. That the plane formation must occur entirely by random chance. Consequently, that the probability of detecting three galaxies with planes becomes vanishingly small, since each must arise independently. That no proposed mechanism to explain the planes through standard physics is successful. That all other analyses of the planes, performed by multiple rival groups, have fundamental errors whereas their own are always correct (even when they're wrong, as in the case of Centaurus A). That the best solution is modified gravity in place of dark matter. Fear not, gentle reader, I'm not going to examine each point in exact detail. Instead, let's arrange things into the two broader categories of statistics and physics. It will now come as no surprise when I state that I simply doubt the existence of two of the three planes. That would leave us with just one plane, making any statistical analysis impossible. But there is in fact a claim that even the Milky Way plane is not real, making the whole thing a complete waste of time. That claim, by Maji et al. 2017, is still under review, but even I don't find this one fully convincing. They do a good job of showing how with very small numbers of objects (~10) it's remarkably easy to come up with random samples that look surprisingly like the observed plane - but while this works well for the 11 classical brightest satellites, it doesn't really hold up to the full 40 or so for the complete, modern sample. More convincingly, they show how the apparent rotation of the plane could also just be due to small number statistics, since good data is only available for 6 or 7 galaxies. For the sake of it, let's assume that the other two planes do exist. 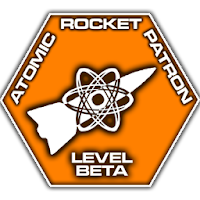 That's something I'm willing to entertain for Andromeda on its own merit but Centaurus only for the sake of speculation. In that case we must now answer several questions. How often do these planes form in standard models ? This varies radically according to who you believe but can run from as low as 0.1% to as high as 10%. Almost in the same breath, Pawlowski says that the chances of finding a system like Centaurus A are 0.03% (assuming the original two planes were real) or 0.4% for the new single "plane" - seemingly oblivious to the fact that the original, formerly highly "significant" planes have been, apparently, utterly demolished by new observations. Still, even if we accept the claims at face value, then the frequency of planes which are similar to those we've discussed is hard to assess. Buck et al. 2015 imply that they are very rare indeed, no more than about 0.2% (but there's a HUGE caveat to this, see below). Wang et al. 2012, on the other hand, say more like 5-10%, Cautun et al. 2015 also say about 10%, while still others say around 2%. 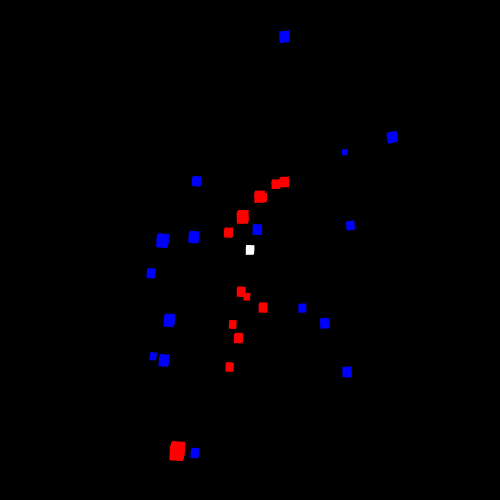 Irritatingly, some of the planespotters sharply criticise studies for using a 2D identification method in simulations, despite the fact this is exactly how Ibata identifies the Andromeda plane (and indeed the only way it could be identified), thus seriously undermining the case for its existence even further. In any case, planes are certainly not common, but their rarity depends very strongly on how precisely you want to reproduce their parameters. And that raises some interesting statistical considerations that are much less obvious. Is it weird that we're living in one of the ~1% ? What does "statistical significance" really mean here ? One must be very careful indeed about dealing with statistical significance, confidence, and probability. Every field of grass looks the same, but the chance of finding the same number of grass blades growing in the same relative positions in different fields is close to zero : or as Terry Pratchett frivolously put it, "million to one chances crop up nine times out of ten." Collectively, rare things are not uncommon. Each field of grass is unique, but meadows themselves are not. A related point is the so-called flaw of averages. It turns out that even in a very large sample, only a tiny number - if any at all - of members will be close to the average values of most parameters. Everything is unusual - not just in one or two parameters, but in many. The implications of this, it seems to be emerging, are that it may not make sense to compare planes with overly-specific individual or even multiple characteristics. Yes, planes very similar to those "detected" may be very rare - but plenty of different sorts of rare planes exist. The population is just too diverse for a comparison with any one set of narrow parameters to be sensible. It's a bit like looking in a cabinet of curiosities and being surprised that they only have one alligator head, cheerfully ignoring the seventeen stuffed crocodiles and a live caiman that's biting your ankles. In short, planes like these do seem to be quite rare in standard models - if one accepts the undue levels of rigour the plane enthusiasts demand and perplexingly insist the observational data shows, despite the fact that it does not. Even making that assumption, individually unusual planes are collectively common. In this field the term look elsewhere effect is popular, and it's this which Cautun et al. 2015 use to find that planes as rare, though not sharing the precise characteristics, as Andromeda, occur in about 10% of simulated galaxies. How unlikely is it that two out of the three major galaxies in the Local Group have planes ? Some probabilities are harder to gauge than others. It may not be unlikely at at all. A question too infrequently asked concerns not how many galaxies have satellite planes, but which galaxies have satellite planes. The Buck paper is a notable exception. Those authors simulate a set of galaxies that assemble unusually early, placing them among the rarest 2% of all galaxies. Of those, about 10% have satellite planes, implying an overall fraction of about 0.2%. But this is misleading, because their study doesn't include more typical galaxies so can't be used to infer plane statistics for those objects. 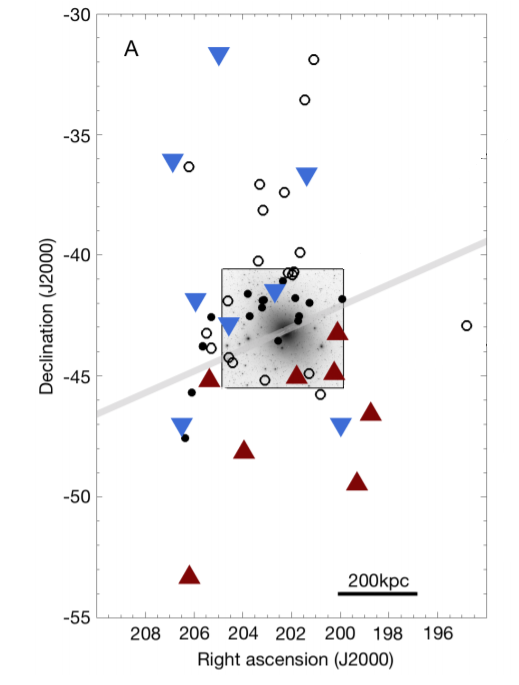 More importantly, if the galaxies in the Local Group are similar to those of the simulations, in particular if they have similar formation histories, then the fraction we should expect to have planes is not 0.2%, it's 10% - maybe even higher, since Buck's study was limited. By analogy, if 10% of all pets are fish, and 50% of all pet fish have model bridges in their aquariums, then what fraction of all pets have model bridges ? Obviously that's 5%. But if you're only considering pet fish, then it's 50%. You have to account for specifics of what you're studying; planes might be rare overall but extremely common or even unavoidable in certain circumstances. And, crucially, if the galaxies thought to have planes share those conditions, then the chance that they have planes can rise very dramatically. If there's a causal factor at work, then, like rolling a loaded dice, assuming random chance makes no sense. But the pro-plane groups dismiss this possibility and insist that plane formation must be due entirely to chance. This then leads to another error. 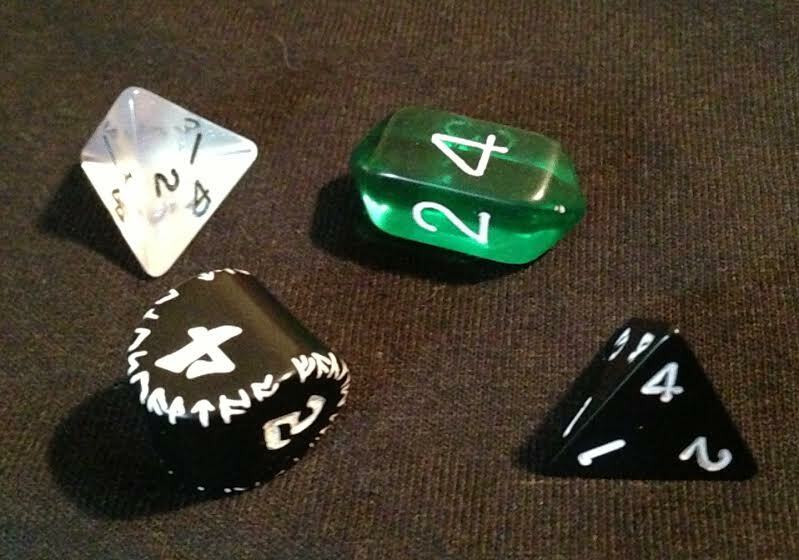 They say that if the chance of one plane is 1%, then the chance of finding two planes is 0.01%, multiplying the probabilities together just as though rolling multiple dice. High school maths teaches that you can multiply probabilities like this only if the events are independent. And there's no evidence that's the case. In particular for the Local Group, the Milky Way and Andromeda are thought to have interacted, forbidding probability estimates by crude multiplication in this way. Again, a common causal factor may well be at work. Centaurus A bears the bold scarring of a past interaction as well, again hinting at a casual factor in the origin of the plane. All these arguments have been raised in many different papers, yet the plane believers simply ignore them. The above arguments against the significance of the rarity of the planes would be lent more force with a solid physical reason why planes might form in the standard model. We should not be overly-demanding on this point : a lottery winner does not insist that they cannot have won, after the event, on the basis that the probability is very low. Even accepting the lowest probability estimates of the planes, there should be millions of galaxies with planes by chance alone, which challenges the assertion that they pose any kind of threat to the standard models. Yet it would be much more satisfactory if we could offer a physical account of how planes form, rather than resorting to the "chance fluke" option. Fortunately we can do exactly that, because a variety of different mechanisms have been proposed to explain plane formation. Some of these require multiple galaxies to induce plane formation; others allow planes to originate in isolation. The Maji et al. paper is neither faultless nor useless. Perhaps its most compelling idea is that the planes are real, physical structures, in that they have been correctly identified, but do not represent stable, rotating systems - and Bahl & Baumgardt 2014 reach a similar conclusion using a larger set of simulations.This idea is given considerable merit by Centaurus A, where the apparent pattern of rotation is unrelated to the spatial arrangement. Such a dichotomy is easily explained if the semi-random motion of the satellites only occasionally results in the appearance of rotation. This is by far the closest option to my own opinion : that the planes essentially do not exist; I simply do not believe in the Andromeda or Centaurus planes. However this explanation lacks credibility for the Milky Way, where the sample size is too high. The low numbers of satellites with accurate velocity data is insufficient, in this case, to explain the alignment of the entire sample as a transient entity. It's not impossible, but it's also contrived and unconvincing. Compared to dark matter, gas has ludicrously complex physics - it can cool and condense, increasing its density and triggering star formation,which injects more energy and so lowers its density... its chemistry, which affects its cooling, changes depending on its star formation history. Dark matter ain't got none o'that, which is why gas is generally avoided in large simulations. It would be a foolish astronomer indeed who decided they could predict the effects of including all this physics without running a simulation, but is it credible that it could help explain the existence of planes of satellites ? It's not outlandish. Gillet et al. 2015 attempt to use one of those semi-analytic models, including the complex gas physics via analytic formulae, as a first step. They found planes form at a substantially greater rate than random chance could allow, noting that some were transient and others were rotating. Maji et al. 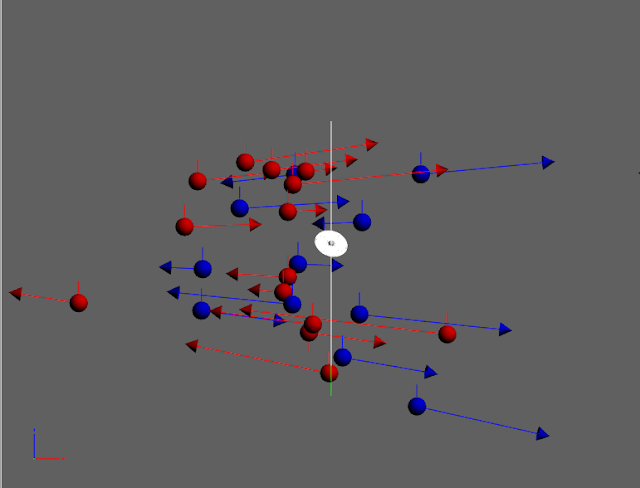 performed a simulation directly incorporating the gas physics, and they too found planes were produced, though in this single instance they were not rotating. 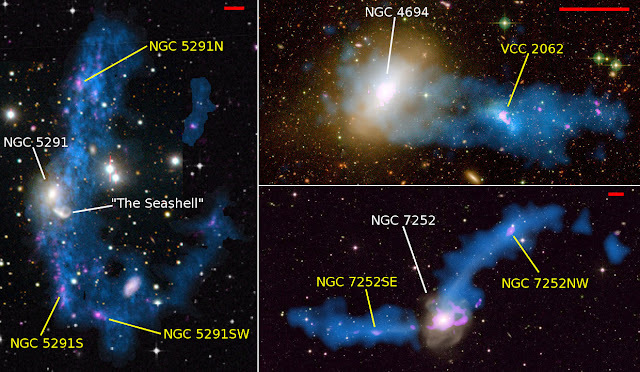 They attribute the existence of planes to being a secondary effect of the missing satellite problem : the gas physics means that few halos host visible galaxies, and it's simply the very small number of visible halos that means they resemble planes by chance. Probably the most interesting, detailed study of the effect of the gas physics was done by Ahmed et al. 2017, who incorporate gas physics directly. They claim to confirm previous speculation about the possible role of the gas and stars normally missing from simulations. In their work, the significant mass of the galactic disc (composed of gas and stars not present in pure dark matter simulations) causes preferential tidal capture and disruption of satellites aligned with the disc - so galaxies on more polar orbits survive. They perform a detailed analysis of how significant their planes are, though they only have a handful of simulations since gas physics is computationally demanding. Although they don't recreate anything as dramatic as the Andromeda plane is supposed to be, they note that including the gas physics does make a significant difference. So the unusual nature of the real plane should be measured against these simulations, rather than comparing it to a purely random configuration. Andromeda, they say, might really be unusual and hard to explain, but the implication is that its significance has been exaggerated. 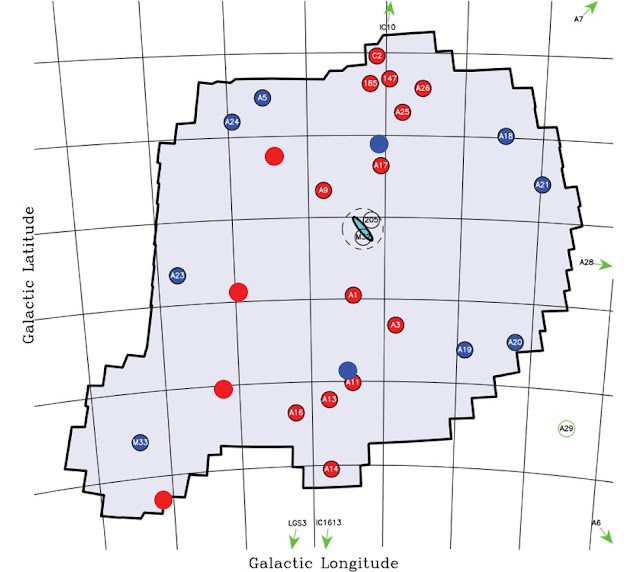 Distribution of galaxies in the nearby Universe from the SDSS. Colours help accentuate distance. All of the above simulations note how satellite galaxies fall in towards their hosts not in a haphazard way, but along filaments. The filaments of the "cosmic web" are well-known, but the plane enthusiasts tend to dismiss them as too thick. But this simply does not appear to be the case, with, in addition, the Buck 2015 and Sawala et al. 2016 papers also commenting on their role. Maji mention filaments but not in any detail, and it's left to Ahmed to describe how they can lead not merely to narrow features but also bona fide rotating planes (galaxies falling in along two opposing filaments would look just like a rotating disc). Ahmed et al. further mention that many planes in their simulations are (just as in Maji) transient, though not all, with the narrowest filaments leading to rotation. Gillet et al. are rather more confident in expressing this as a way to produce the appearance of rotation. Comments that the filaments are too thick now seem to be somewhat desperate. The filament overall may be too thick, but galaxies are not going to form uniformly within a filament : they'll form preferentially in its denser interior, with denser gas sinking towards its centre. This somewhat negates the counter-argument that such filaments are already included in ordinary, pure dark matter simulations, and additionally Ahmed and many others were able to show that planes do form in such simulations anyway. The pro-plane groups justly complain that the explanations thus far do not reproduce all the (perhaps overly) precise conditions of the observed planes, but omit that they most certainly do produce planes. Thus, again, the significance of the observed planes must be judged against the frequency of planes in real simulations, not against the naive assumption of purely spheroidal halos. As well as small galaxies falling along the filaments, occasionally larger galaxies and even whole groups of galaxies can find themselves in these cosmic flows. These leads to two related mechanisms : satellite clouds assembling preferentially along filaments, and existing satellite clouds being disrupted by the interaction with a more massive host galaxy. We've essentially discussed the first of these already. The second, Ahmed et al. note, can be another mechanism to induce rotation. This is examined in much more detail in Smith et al. 2016, from which the above animation is taken. Their model shows that if one satellite mergers with another, its attendant spheroidal-ish cloud of satellites can be heavily disrupted and elongated, producing a plane. Galaxies moving in one direction are preferentially destroyed, leaving behind a plane which is now rotating in a single direction. The model is quite primitive and needs more development, but the concept is very interesting and it deserves more attention. Again, the comments by the pro-plane group that such processes are already included is not unreasonable, but overstated. They are included, but planes are also already found in the simulations. When a galaxy has a sufficiently strong interaction, enough material can be torn out to produce gravitationally bound structures. This would naturally explain even the thinnest of planes and could allow them to be rotating in any direction. Their longevity may be somewhat controversial but their existence is not. So what's the problem ? Oh, lots of things. First, this interpretation would make the missing satellite problem far worse : especially for the Milky Way. With all the galaxies in a single plane, the inference that they all originated by this mechanism leaves little room for any primordial objects. And that would undermine the current paradigm of galaxy formation theory itself - the idea that larger objects grow by the merger of smaller ones, with the dwarf galaxies extant today the survivors of an era of brutal galactic cannibalism. 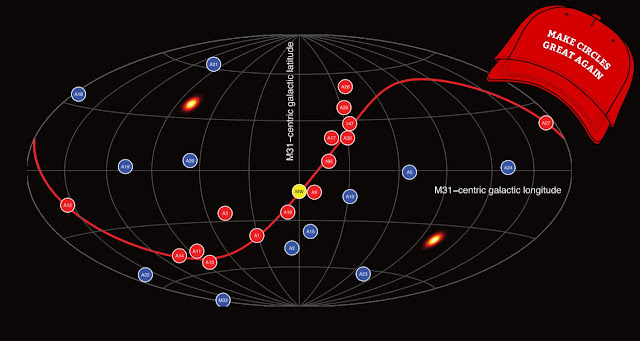 The prospect that all small galaxies are tidal dwarfs is not only radical, it just doesn't ring true : why on Earth should there be such a strong survivorship bias in favour of massive galaxies ? There are more minor concerns. Galaxy interactions are more damaging if they occur in the same plane as their rotation; tearing off large amounts of material and sending it into polar orbits is hard. The plane of Centaurus is so thick it could run for President, i.e. it challenges the definition of the word "plane", and it's difficult to see how a tidal encounter could produce such a wide feature. Similarly, the plane of Andromeda is embedded in a more or less spherical cloud of other galaxies or other planes. Either the encounter miraculously left the existing satellite cloud undisturbed, or the other satellite planes remained stable in defiance of basic gravitational logic. But the most important problem is that supporters of the tidal dwarf theory use this to advocate not merely for overturning standard galaxy formation theory, but gravity itself. There's a substantial overlap between the planespotters and those who believe that modifying gravity is the only way to solve certain issues. But this feels so much like taking a sledgehammer to crack a walnut, based on the advice of a whisper. All of this tremendous energy has been expended on no more than, of the billions known, a mere one hundred dwarf galaxies. The most marginal of evidence is used to support the most decisive of arguments and demand the most radical of changes. And that's just not cricket. The standard pure dark matter models don't show totally isotropic, spheroidal halos. That conclusion arises only from a very naive examination of the data. It is true that planar configurations are not common, but they are hardly rare either. 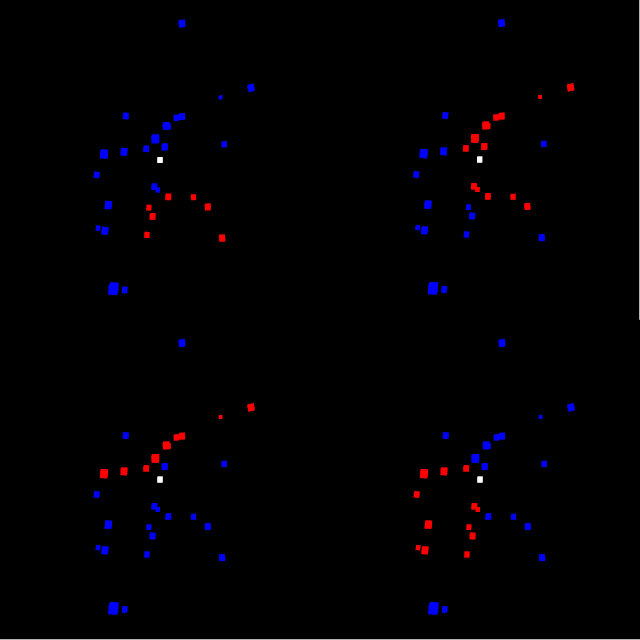 Thus, a comparison of how extraordinary observationally-detected planes are must be made against the planes which are typically found in simulations. They might still turn out to be rare, but they won't be anything like as unusual as if the satellite clouds were truly random. While some planes can arise through small number statistics and are essentially just statistical flukes, other, physical mechanisms have been demonstrated to be able to produce planar features. Therefore the assessment that any galaxy, chosen at random, has a mere 1% chance (or whatever) to have a plane is in error : if the galaxy has experienced a particular set of events, the probability could be close to 100%. Planes being rare overall does not mean they are rare in all situations. It follows that multiplying the probabilities to assess the chance of detecting multiple planes is simply wrong. In particular, galaxy interactions have been shown to induce plane formation, so the claim that it's extremely unlikely that the Milky Way and Andromeda, which are thought to have interacted, both have planes, is not justified. More fundamentally, plane identification is based on a tiny sample size for a mere three galaxies. The Andromeda plane looks to be entirely subjective; claims for planes around Centaurus are completely contradictory. Only the Milky Way plane looks secure. And one secure plane out of billions of galaxies is just not that impressive. What would it take to either prove or disprove the planes and their importance for cosmological theories ? In this case I don't think there's anything radical that we need to change : we just need to do what we're doing, but more. First, we need much better detection statistics. I know this is hard to get, but there's no choice. The dire state of the numbers we're working with at present is just too low - all conclusions are overly-provisional, as the Centaurus A case attests to. With larger numbers, we might have a better shot at rigorously defining a sensible identification procedure. I could believe the Andromeda and Centarus A planes if I could identify them myself, by eye, from the data alone without any prompting. The by-eye bit is vital : human pattern recognition is way better than any astronomical algorithm. If I don't spot it myself, I'll have a very hard time believing it's real. Our state of the art is that we can accurately measure things only once we've identified them, but that identification step is sill in poor shape. Second, we need better velocity data. To be able to say that the data is both consistent with and against rotation simply means that the data is useless. Again this is not easy, but at the moment the data looks so unconvincing that it's hard to see why anyone bothers studying this at all. Third, more attempts to identify planes in simulations. Someone needs to do a meta-study, reviewing how strongly the results depend on plane identification techniques. Plane formation mechanisms need to be better understood so we can say if the one's we think we've found are really strange or pretty normal given known processes at work. We've got to stop insisting that they're entirely a product of random chance : even if the real planes are more extreme than the ones in simulations, it doesn't make sense to assess them by comparing them to totally random clouds. And that's it, really. It's not an enormous ask, I think. But most of all I wish we'd stop getting these vastly exaggerated claims about the apparently stupendous statistical significance of less than a hundred data points. As it stands, this field is currently just plane silly. Although maybe not quite that silly. You refer several times to a "sample of billions" but isn't that misleading? How many galaxies have actually been "sampled" by people looking for these planes - maybe a few hundred? You're right, I do overdo the 'billions', sorry about that. Though the claim is that these three galaxies can be extrapolated to the rest of the Universe, which I don't think is fair. "Little has been written of the other ~800 galaxies within the Local Volume (though few of these will be massive enough to host detectable satellites) as to which ones have satellites not in planes; those with even the most marginal hint of a plane have papers with citations rapidly reaching the hundreds." I'll put in a reference to the Local Volume catalogue later. I wasn't able to find an estimate of how many galaxies this could be done for; it's not straightforward to answer.